Home / Mommy Mania / Choosing Baby Wipes? – Mother Sparsh Water Wipes Are Just Right. Wet wipes are an essential part of every mom’s life especially when she has a newborn in her life. From cleaning little one’s hands or face time to time to cleaning their soft bums after every bowel moment. Wipes always get an essential place in every mom’s life and handbag. 1. Wipes are very handy to use, in the day to day life or even when you are traveling. 2. Wet wipes help a lot, as using water for cleaning babies always is not possible and not even safe, there are many things in consideration while using water. More exposure to water(especially hard water available these days) make babies skin more sensitive and it’s not good too. 3. During cold weather, using water repeatedly is not good for babies health as well. Here also wet wipes comes to rescue to maintain hygiene. 4. Wet wipes are made under the clinical supervision and are clinically tested, to make sure its safe for babies. 5. No one can deny the wipes are convenient to use and easily accessible. 6. Not only for babies, wet wipes are also a great option for mommies too especially when u want to remove your makeup quickly. How To Choose Right Wet Wipes? Many different brands wet wipes are available in the market and multiple brands create chaos n confusion. 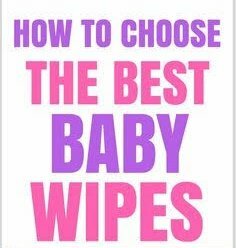 Always keep a check on following factors to choose best wipes for your baby. 1. Always check on ingredients before buying wipes as a few brands do use chemicals, avoid those brands. 2. Avoid Scented or Highly fragranced wipes. 3. Choose wipes made up of organic ingredients. 4. Keep wipes thickness, type of container its pack in also in consideration. 1. Its Water-based, Mother Sparsh claims its wipes contain 98% water and you will feel the same as soon as you touch the wipes. With plant-based viscose fabric and 98% water, Mother Sparsh wipes are as good as cotton and water. 2. It’s clinically proven that these wipes prevent diaper rashes and keep your babies soft skin safe from diapers and help in maintaining hygiene. 3. I love these wipes are they are biodegradable, hence, environment-friendly. 4. I love the packaging, its easy to use, travel-friendly and very cost effective. Just Rs.130 for an 80 wipes pack. 5. It’s so soft on babies skin that its perfect for a newborn with more sensitive skin. The velvety feel of wipes is just wow and its dermatologically tested hence safe for little ones. Mommies, I swear by Mother Sparsh Wipes as It is as Soft And Safe as Cotton And Water and its approved By Elders In Families Too. Mother Sparsh Wipes Are The Right Choice For Your Babies Soft Skin and Clinically Proven To Protect Rashes. Mother Sparsh Wipes Are Easily Available At Amazon. This is really great product for babies. Will suggest this to my aunt’s for their Babies. Kids need the best treatment, n this definitely gives that. Will suggest to my friends for their lil ones. i’m going to try wayer based wipes myself and then use it for baby, their skin is too soft to be experimented on. Thanks for suggesting the product. 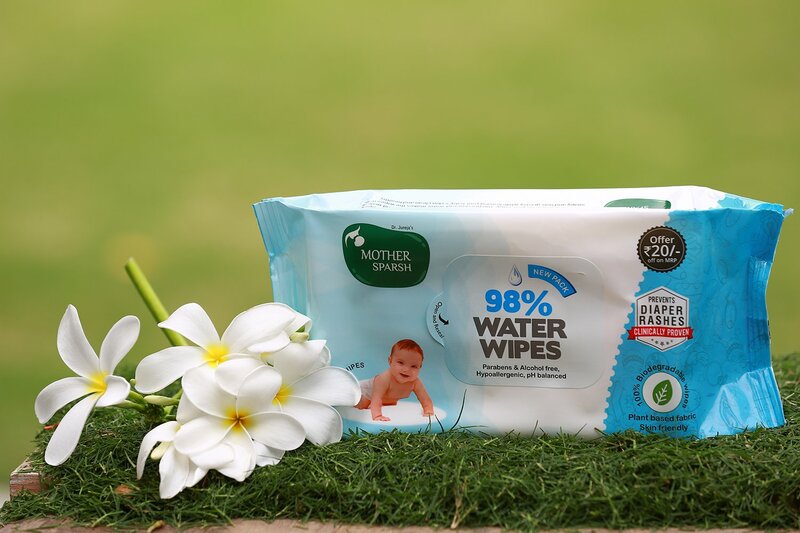 We are loving these Mother Sparsh 100% water baby wipes these days. They are as soft as cotton ! Amazing Mother Sparsh baby wipes. Mother Sparsh is a trusted brand and quite affordable. These wipes are best for soft and delicate skin. Great thoughts. I have been using them they are just amazing and one of the best baby wipes in India .